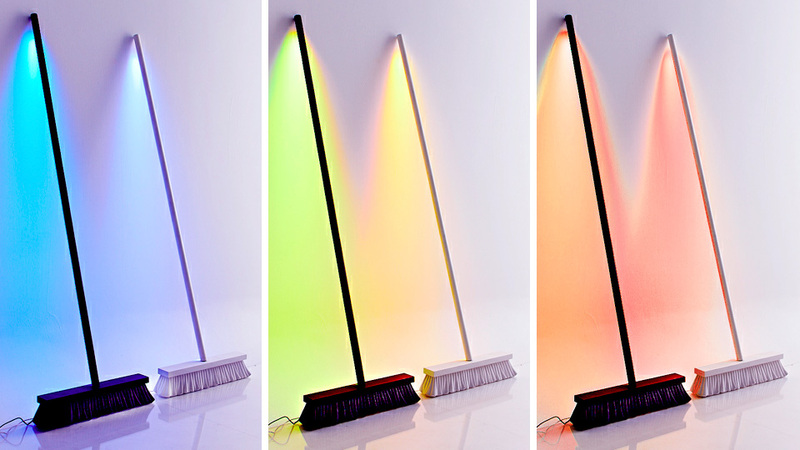 If you're into unusual accent lighting, you're not going to find anything more unique than Pēteris Zilbers and Mārtiņš Straupe's Mood Broom, which illuminates a room with a strip of colour-changing LEDs running down the handle. It's designed to be leaned against a wall like it was abandoned by a cleaner who went off to take a coffee break, but ironically the broom portion of the lamp doesn't actually work. The bristles at the bottom are completely fake. And in the same way a little spring cleaning can help brighten the mood in a room, with its wireless remote the lamp's LEDs can be cycled through a full palette of colours to set the mood.